Dr. Amy Sheer is a second year Internal Medicine resident at the University of Florida, where she also attended medical school. 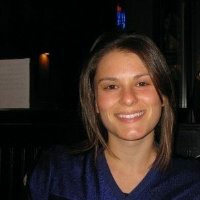 She is originally from Long Island, New York and knew from a young age she wanted to go into a medical field. She completed a degree in Molecular Biology and Microbiology at the University of Central Florida. Prior to medical school she completed a two year fellowship at the National Institutes of Health and a M.P.H. at Johns Hopkins Bloomberg School of Public Health. It is while earning her MPH her passion for primary care and lifestyle medicine was ignited. She has spent time at innovative primary care practices across the country and at the CDC involved in population based diabetes research. She is currently the first Primary Care Track IM resident at the University of Florida. After residency she hopes to incorporate her interests in chronic disease prevention and research to make positive lifestyle changes on an individual patient level. In her spare time she enjoys participating in races, cross-training, traveling, and spending time with her fiance, David, and animal babies, Tank, Brie and Cooper. 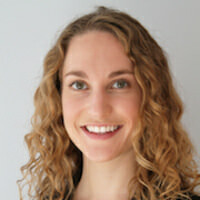 Lauren Feld is a Chief Resident in Internal Medicine at the University of Chicago. She received her undergraduate degree from Wesleyan University and her medical degree from the Icahn School of Medicine at Mount Sinai in New York, as part of the Humanities in Medicine program. She plans to pursue gastroenterology fellowship and become a transplant hepatologist. Her research has focused on access to care for underserved patients, supporting caregivers during the liver transplant process, and physician and trainee wellbeing. She grew up in Seattle, and enjoys hiking, climbing and travel. Richard Ramonell was born in Birmingham, Alabama but was raised in sunny South Florida. He did his undergraduate studies at the University of Florida before crossing enemy lines and attending Florida State University for medical school. In medical school, he met his wife on the first day and they were fortunate enough to match as a couple into Emory University (he trained in Internal Medicine, she trained in General Surgery). 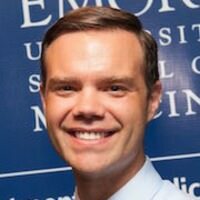 Following the completion of his Internal Medicine Residency, he was selected to be a Chief Medical Resident at the Atlanta Veterans Affairs Medical Center. He has now started a fellowship in Pulmonary and Critical Care Medicine at Emory University and hopes to pursue a career in academic medicine. Ryan is from Boston, Massachusetts. He attended college at Tufts University and majored in both Biochemistry and Community Health. He continued his studies at Tufts University School of Medicine and received a dual-degree with a Master of Public Health. Ryan's research projects have included a study on the sensitivity and specificity of various viral testing methods in critically-ill children and analyzing data from a health survey for a local health department. His academic interests include medical education, epidemiology, research study design, and clinical outcomes research. 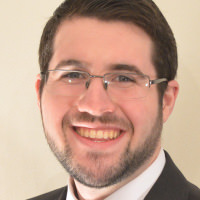 Ryan is currently a Resident in Internal Medicine at Massachusetts General Hospital.